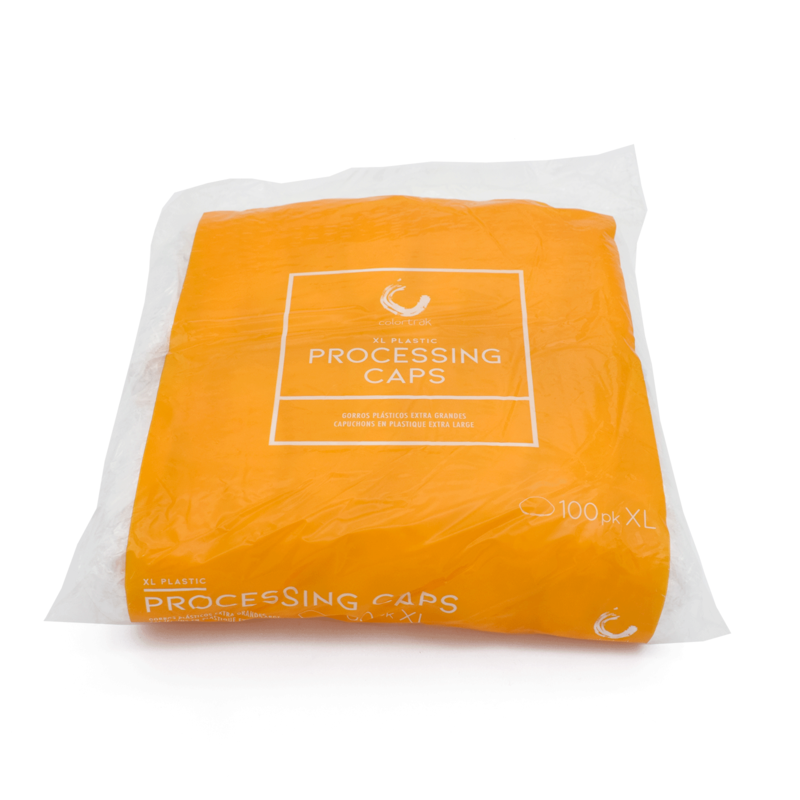 Easy fit plastic processing caps in convenient professional pack sizes for perms, conditioners and color. Get 21"" clear caps in 100–Count package. Caps are perfect for perms, conditioners and color services.